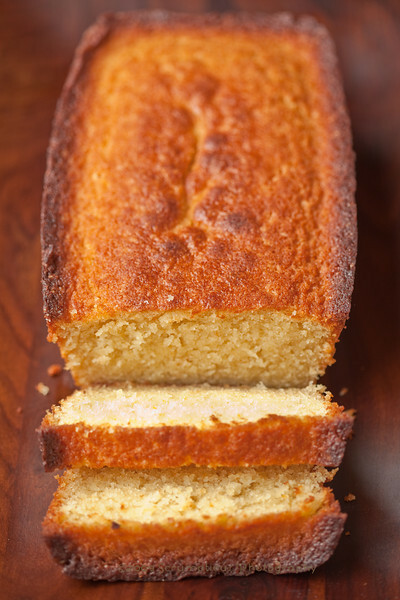 This gloriously simple cake was chosen by Liliana of My Cookbook Addiction for the TWD recipe this week. The cake is supposed to be covered on top with a marmalade glaze, but instead I made some of Dorie's lemon cream for a deliciously tart and rich topping. 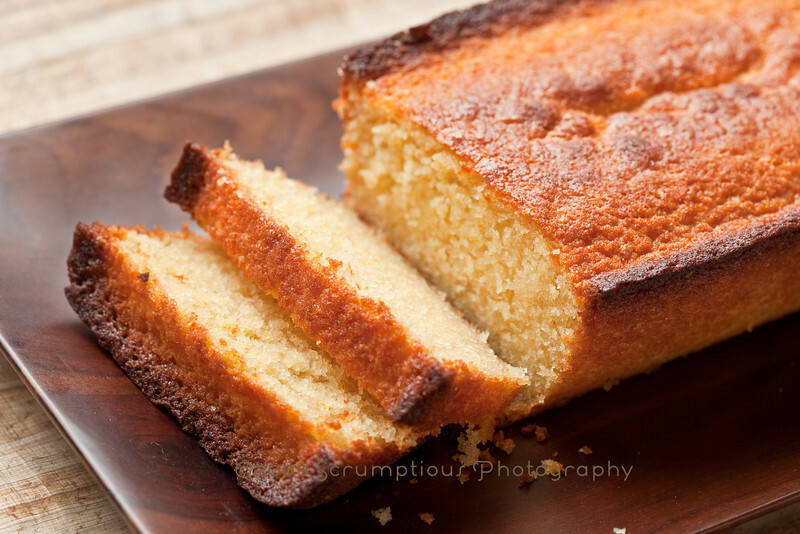 The cake was extremely moist because of the oil added to the batter, which allowed the light citrus flavor of the zest to shine through. The yogurt also adds some moistness and a slight tang. I actually used kumquats for this, since I'd bought them on a whim the other day and forgot to get a lemon. 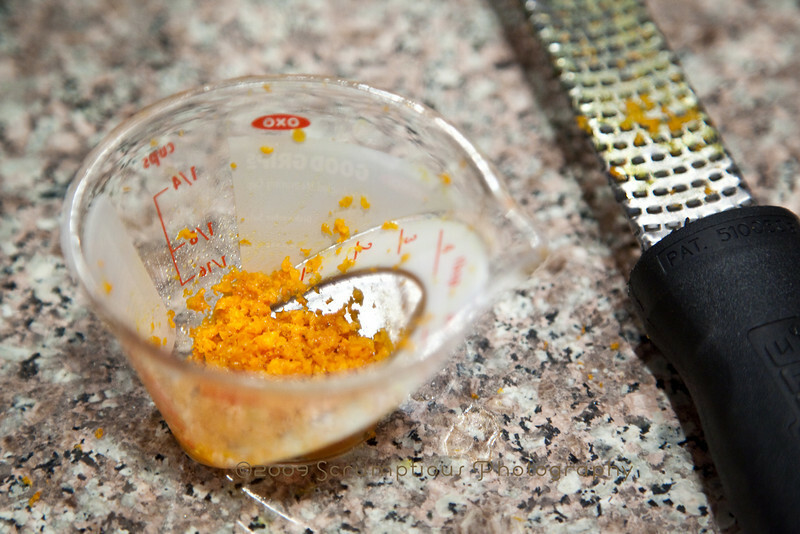 I love kumquats, but it's not an easy feat to zest them, especially if they're the tiniest bit soft! I managed to eke out around a tablespoon from the whole package. And then, I proceeded to eat so many of the zested kumquats that my lips burned. 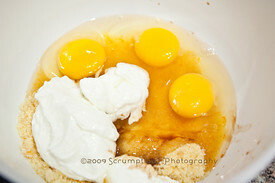 Photos of the cake assembly. 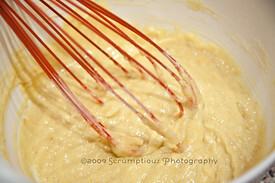 It's really a very simple cake... whisk the dry ingredients together, then combine the zest and sugar in another bowl. Dump the eggs, yogurt and vanilla into the sugar and whisk to combine, then whisk in the dry, and finally fold in the oil with a spatula. I also finally made the lemon cream recipe that everyone raves about, and it is amazing! It went really well with the cake, too. 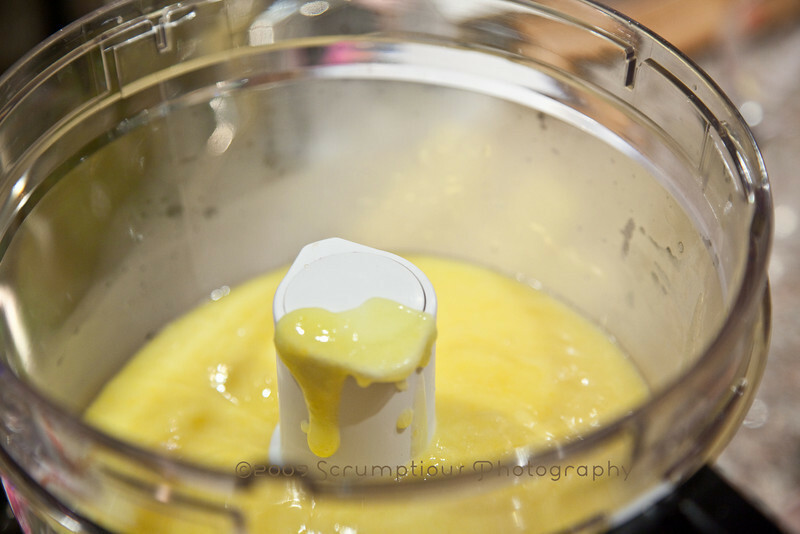 I loved the fact that although Dorie's lemon curd recipe has significantly less butter, the lemon "cream" recipe has more tang and less of a buttery flavor! 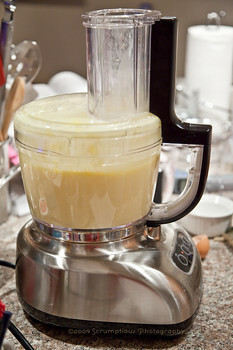 I read in the P&Q that some people had problems getting the custard up to 180°, but I didn't have a problem with it. 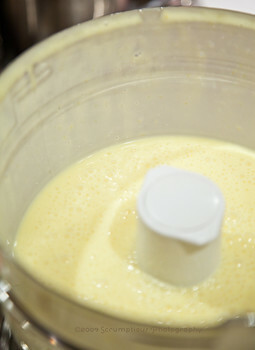 The key to this recipe is adding the butter bit by bit to the warm (140°) custard while the food processor is running to create an emulsion. 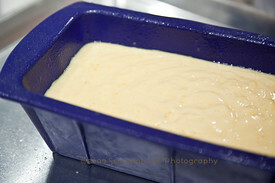 The silky texture of the finished cream is amazing. 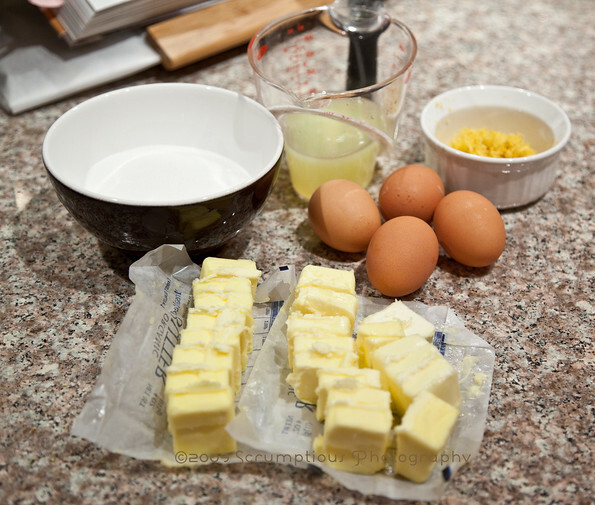 Thank you, Liliana, for picking a simple and delicious recipe! You can get the full recipe at her blog. The TWD blogroll is there if you want to see more of these beautiful cakes! This cake must be very fragrant and extremely delicious! Nice shots! Mmmm! Looks delicious with that cream! The lemon cream is the perfect topper. I love that I can see the rich yellow of the lemon rind. Lemon Cream?? Did I totally skip the part in the recipe where Dorie talks about lemon cream?? 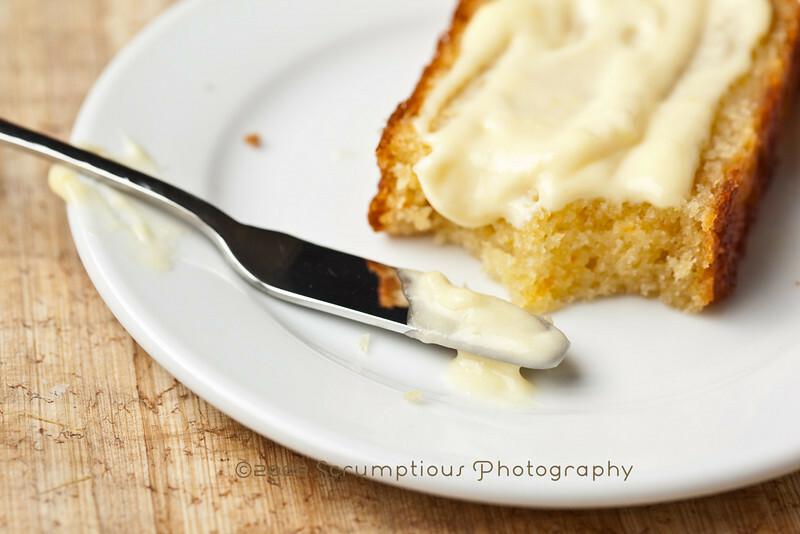 Lemon cream sounds amazing and your cake looks wonderful, like it always does!! P.S. Don't forget to enter my giveaway!! That looks crazy delicious with the lemon cream!! 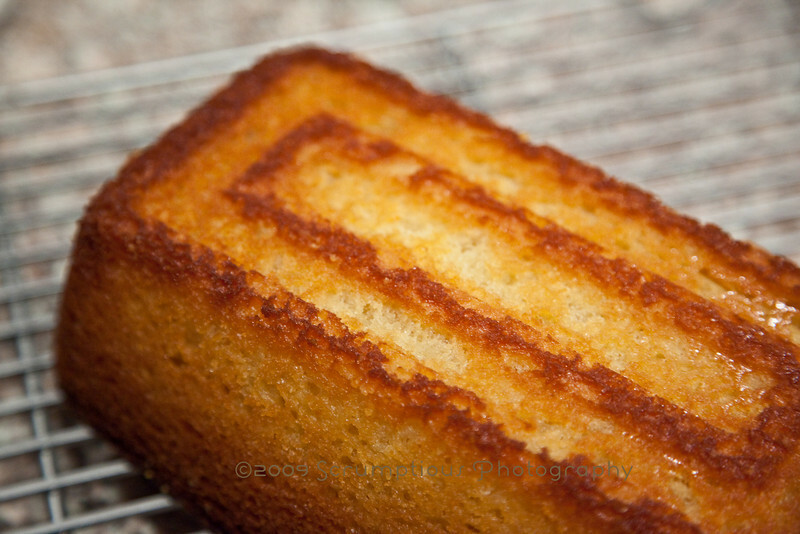 Your cake looks great with the nicely browned top and bottom. Good choice on the cream!! 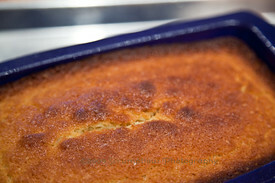 I LOVED this cake, it smelled so good while cooking and tasted wonderful :) I paired it with simple lemon curd. YUM! Ooh the cream. I have got to try that too. Nicely done. I giggled envisioning you zesting those kumquats...OMW, how long did that take??? Also, love the upside down shot of the cake...is that the pan bottom that made that lovely design? It's really beautiful. Gorgeous photos, but I don't need to tell you that...great job. Zesting a kumquat...who knew??? LOL! @chocolatechic, they are little citrus fruits, and you are supposed to eat the outside, which is actually sweet :) the inside is tangy/sour and you can eat them together. Oh wow - that lemon cream looks fantastic!!! I will absolutely give that a try very soon!! Great pics, as always! I LOVE the design of the pan...it just screams "I need glaze or frosting or something of that nature!" Your photos always look scrumptious! Oh, my! That lemon creams looks astonishingly good! Oh wow, how beautiful! 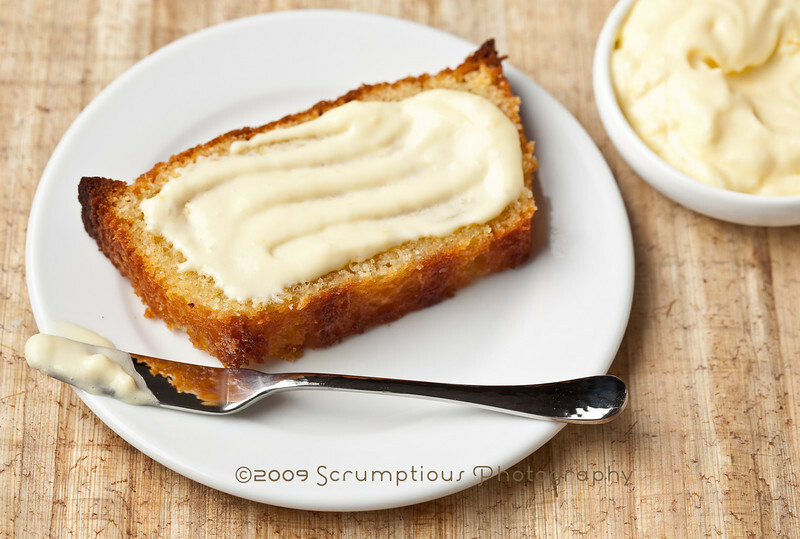 I used orange zest in my cake but I really want to make it with lemon zest and try this lemon cream because you make it look so appetizing! I LOVE your cake upside down!!! It looks beautiful upside down, right side up, but I wish I could see how it would look on a forth about to go into my mouth! the cake looks so pretty. great job! Looks great! Did you really find that the lemon cream was less buttery? I have also made both the curd and the cream (the cream was Pierre Herme's recipe, so I assume it was similar) and I thought it was very rich and buttery. I bet it was ridiculous on this cake! Beautiful! and great idea with the Lemon cream. Yum! Your cake looks wonderful. I love that you used kumquats. I love them, but I would imagine they were hard to zest. Yum! I served mine upside down as well! I liked the pattern of the pan. I love your pictures and the way your cake came out.. that lemon cream looks wonderful spread like that on this delicious cake! I bet this cake was good with that lemon cream. I'll have to try that. 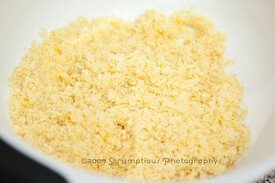 And kumquats was a great substitution! THe photos as usual are spot on! and the lemon cream pairing with the kamquat zested cake sounds mighty fine to me. Your cake looks fabulous! I'll have to try making the lemon cream next time. Love your pictures as always! Great job on your cake! I have a hard enough time zesting clementines and satsumas (plus they turn my hands orange) so I can imagine you had your hands full! Your cake has the most perfect texture and I've no doubt that the lemon cream took it over the top! That lemon cream looks like it would be great on just about everything. I admire your patience for zesting those tiny kumquats. Your pix make me want another piece of this right now. That lemon cream looks amazing!! Wow, the cake itself really isn't half bad, calorie/fat-wise, is it? Of course, I could eat half of it in one sitting. Great job on this beautiful cake. Great pics. Looks really yummy! This looks beautiful! I love your pictures! wow, does that ever look good! 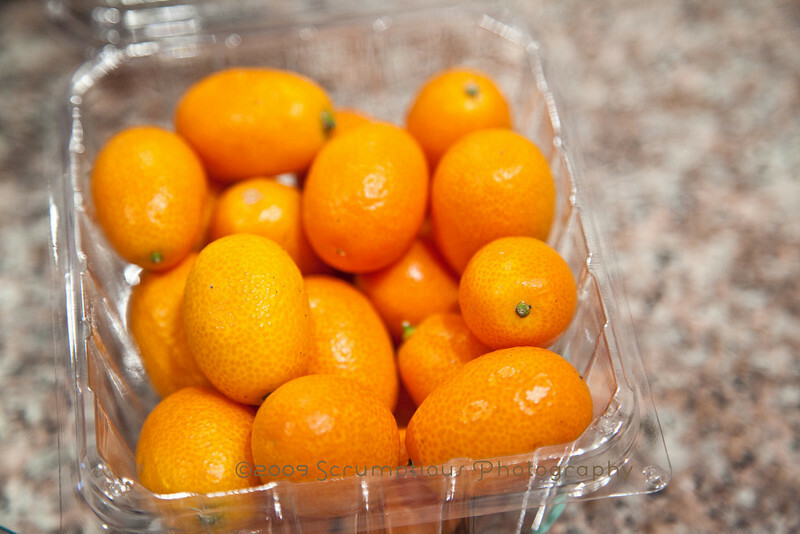 and the mental picture i have of zesting kumquats is pretty funny! I think I have that pan, but I've not used it yet. I will have to give it a try. Your cake looks great. I made a grand schplat to re-enter Tuesdays with Dorie. I did some ingredients talking with my gramma but left it completely up to her and SCHPLAT!!! THE CAKE DID NOT RISE!!!!!!!!!!!!!! AT ALL! But determined to make it again! Yours looks LOVELY as usual!!! That lemon cream is making me woozy!!! This cake must taste so good paired off with lemon cream. Your photos are amazing! Oh, kumquats sound fabulous! And isn't that lemon cream wonderful? Just decadent. Beautiful job, as always! That's an awesome looking loaf of moist cake! I will probably need to add this to my "To Bake" list! 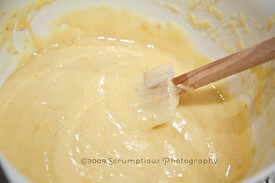 I have also tried the lemon cream recipe and it is outstanding - I couldn't stop licking the bowl of the food processor!!! And what's a wonderful idea to serve it with this cake!